West Side Church is an independent evangelical church in Wandsworth, London. The church was first formed as Bramblebury Hall in 1899, shortly after which it was renamed Victoria Hall in 1902, following Queen Victoria's death. In 1971 its name was again changed to Victoria Hall Evangelical Church, before it took up its present name, West Side Church, in 1986. According to their website, West Side is a group of people, of varied ages and diverse backgrounds, who want to live out their faith in all that they do. 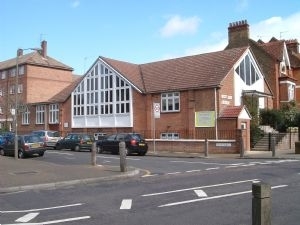 They are about 60 church members, but involve many more through the ways they work within the local community in Wandsworth and further afield. Here's the our members favorite photos of "Churches near Wandsworth Borough". Upload your photo of West Side Church!